- Rubber molded, Orange color, size -7. - Revolutionary, highly wear resistant rubberized cover surface. - Wide channel and deeper grains for better ball control and excellent grip. - Nylon winding for higher shape retention and rebound. - Butyl bladder for high air retention. - dunk, slam or jam the basketball. Fun for all ages. - 57574W Basketball goal with ball. - Basketball ring made of 9 mm steel wire. 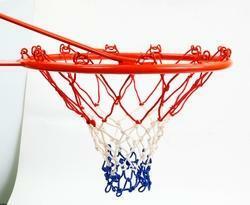 We take pleasure to introduce ourselves as one of the renowned manufacturer of Mini Basketball Ring. 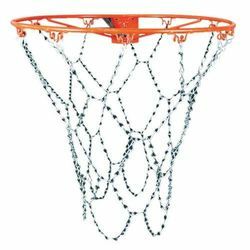 Being a customer oriented organization, we are deeply engaged in offering a wide array of Basketball Ring.